Wallopin' Websnappers! The original web-swinging wonder now makes the coolest treats! 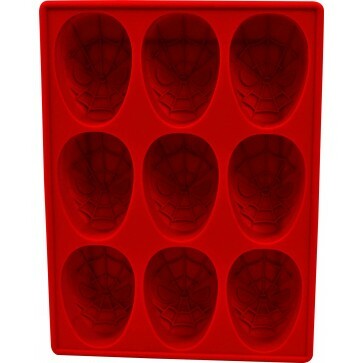 With this Spider-Man silicone tray, you can make ice, chocolate, gelatin and more in the shape of the Amazing Arachnid himself. It's the perfect gift for any Spidey fan - Just don't tell J. Jonah Jameson!